U.S. Customs and Border Protection will follow through on its proposal to cut back hours of operation at the Port of Raymond starting April 14. The proposal, along with a series of listening sessions last week, is drawing criticism from Montana’s Washington, D.C. delegation. A Bozeman company has been awarded one of the first border wall construction contracts to use funds under President Donald Trump’s national emergency declaration. The Army Corps of Engineers gave Barnard Construction a $187 million contract for pedestrian fencing at the US-Mexico border Tuesday. At least 500 indigenous women have either been murdered or have disappeared from 71 U.S. cities, according to a first-of-its-kind report from a Native American health group. U.S. Senator Jon Tester invited YPR to sit down for a one-on-one chat early Tuesday afternoon at the Holiday Inn in Great Falls where he and his family were staying to ride out the election. During the mid-term election, Montana voters re-elected their incumbents – a Democrat and a Republican - for the U.S. Senate and the U.S. House, respectively. Political scientist David Parker was asked to look at his proverbial “tea leaves” to explain the outcome. Trump Campaigned Hard For Republicans In Montana. Did It Work? Over the past few months, President Trump campaigned hard against Montana’s Democratic U.S. 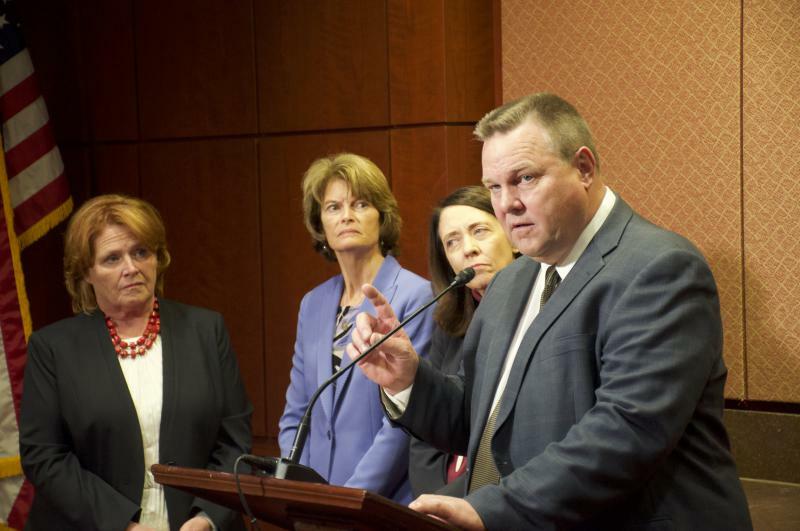 Senator Jon Tester. Tester drew the ire of the president after he blocked Trump’s nominee to head the U.S. Department of Veterans Affairs. President Donald Trump said he returned to Montana for a record 4th campaign swing to defeat U.S. Senator Jon Tester. He told the crowd in Belgrade that it's personal. The MSU-MTN Poll asked registered voters to rate the job performance of the President Donald Trump and Montana’s top elected officials and Trump was at the top. A political analyst said it explains why Republican congressional candidates are tying their campaigns to the president, but there are risks.